The team at Lendy Cowes Week are delighted to announce that entries are now open for the 2019 regatta which takes place 10th-17th August. Our Super Early bird discounts end at midnight on 11th January, and we’re pleased to say that all entry fees have been held at exactly the same levels as 2018. 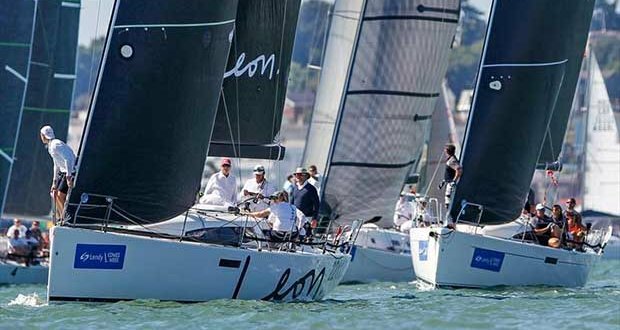 Lendy Cowes Week is much more than just another windward-leeward boat race. It’s a regatta that tests all of the different sailing skills, combined with what has been for many years an end-of-season get-together that brings together sailors from around the Solent, around the country and around the world. We have tightened up the entry specifications for the Cruiser class this year, and after a big jump in entries in 2018, we hope to run four divisions this year to tighten up the rating bands and deliver even closer racing. We are also running the HP30 National Championships all week, class racing for more than twenty one-designs as well as seven IRC classes and the Triple Crown for Maxi boats. All in all it should be an amazing week, and we will again be doing our best to ensure everybody has a wide variety of racing that’s both challenging and fun, no matter where you are in the fleet.